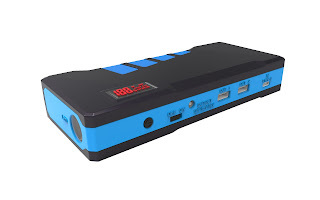 The AGA Mini Battery Booster can be used to jump start a vehicle, making it perfect for households with just one vehicle and for those times when your battery fails and you’re away from home. The device comes with a jumper cable cord that easily plugs into the battery booster, so you won’t need to have full-size jumper cables on hand to operate it. The integrated LED light will help you quickly find the proper place to attach the device under the hood, and you can jump a vehicle up to 15 times on just one full charge. The device can be used at temperatures of up to -20 degrees Celsius, so you can count on it even on the coldest of days. Built in LCD display to show battery percentage and output voltage. 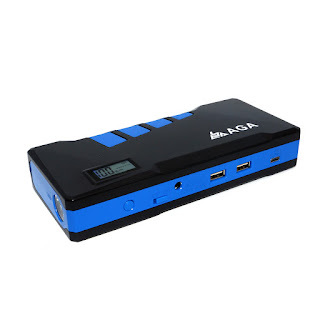 Not just for vehicles, the AGA Mini Battery Booster can be used to charge any device that can be charged via USB port. It comes with one USB 5V/2.1A and one ultra-fast universalcompatible 9V/2A output ports to charge any devices on the go. With just one complete charge, the battery booster has the ability to fully charge an iPhone up to 5 times. All you need is the standard charging cord for your device or computer to utilize the booster. 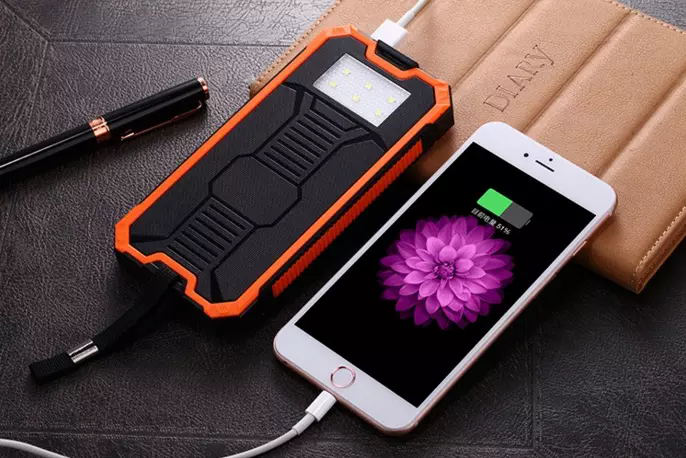 The LED light included on the AGA Mini Battery Booster allows the device to double as a flashlight in emergency situations. On a single charge, the light can burn steadily for up to 24 hours, making it useful in power outages or when car trouble occurs at night. 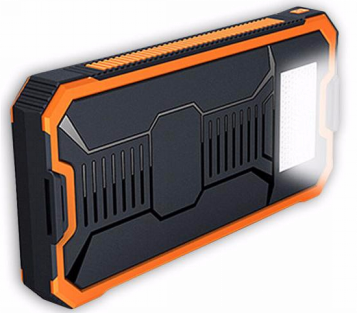 The light also has an SOS mode that flashes to attract attention if you’re stranded on the road or in need of help at home. The light can operate for up to 40 hours on a single charge of the battery booster. 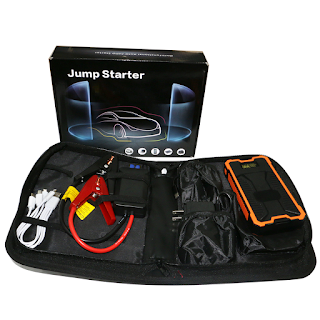 At just 6.5 inches by 3 inches by 0.9 inches in size and 0.66 pounds in weight (the jump starter only is 0.3kg), the AGA Mini Battery Booster is easy to store and to pack when you’re traveling. 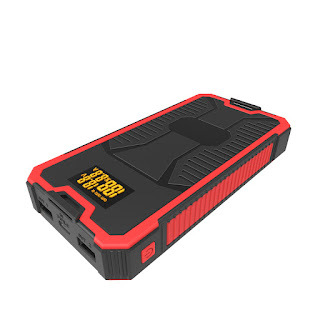 The device comes with a carrying case for all of the attachments which makes it perfect for each vehicle or on the go. The device is smaller than many power banks and is 1/10 of the size of a traditional lead-acid jump starter for vehicles, making it a convenient choice among emergency starters and device chargers. Get yours today and you’ll be ready for an emergency and never without a fully charged cell phone, IPAD again.